c) However, terror and talks cannot go together. Subsequent to the meeting of May 27, in a letter to Prime Minister Mr. Nawaz Sharif on June 11, 2014 PM Shri Modi stated that the presence of Prime Minister Sharif, and other leaders, at the swearing-in was also a celebration of the strength of democracy in our region and a reflection of our collective hopes and shared destinies. PM also mentioned that he was encouraged by his discussions on bilateral relations and the convergence in views, especially on the fact that a relationship between India and Pakistan defined by peace, friendship and cooperation would unleash enormous opportunities for our youth, secure a more prosperous future for our people, and accelerate progress across our region. Prime Minister Shri Modi also said that he looked forward to working closely with Prime Minister Sharif and his Government in an atmosphere free from confrontation and violence in order to chart a new course in our bilateral relations. Prime Minister Shri Modi also condemned in the strongest terms the terrorist attack on Karachi airport earlier that month. Following the Pakistan High Commissioner’s meeting in New Delhi with so-called Hurriyat members and the consequent cancellation of Foreign Secretary level talks by India [scheduled for August 25, 2014], there was an escalation in ceasefire violations by the Pak side across the Line of Control [LoC] and the International Border which continued intermittently throughout the remaining period of 2014. Notwithstanding the continued ceasefire violations by Pakistan and loss of innocent lives, India expressed its solidarity with the Government and People of Pakistan in times of crises. On 07 September 2014, Prime Minister Shri Modi wrote a letter to Prime Minister Mr. Nawaz Sharif expressing his sympathies for the flood affected people and their families across the Line of Control and offering assistance to the Government of Pakistan for relief efforts. India strongly condemned the terrorist attack at Wagah on November 02, 2014. Following the terrorist attack on a school in Peshawar on December 16, 2014, Prime Minister Shri Narendra Modi spoke with Pakistan Prime Minister Mr. Nawaz Sharif over telephone on the same evening and condemned in the strongest terms the brutal terrorist attack on the school students. He told Prime Minister Sharif that this moment of shared pain and mourning is also a call for our two countries and all those who believe in humanity to join hands to decisively and comprehensively defeat terrorism, so that the children in Pakistan, India and elsewhere do not have to face a future darkened by the lengthening shadow of terrorism. On Prime Minister Shri Modi’s appeal, schools across India to observed two minutes of silence on December 17 as a mark of solidarity with the children and people of Pakistan. On the same day [December 17], Lok Sabha passed a Resolution condemning the attack. As a part of his tour of SAARC member states [“SAARC Yatra”] Foreign Secretary S. Jaishankar visited Islamabad on March 03, 2015 and held delegation level talks with his Pakistani counterpart. Both sides discussed ideas and initiatives to take SAARC forward. The visit also provided an opportunity to discuss bilateral relations. Both sides engaged on each other’s concerns and interests in an open manner. Foreign Secretary reiterated our known concerns on cross border terrorism, including on the Mumbai case. Later on that day, the Foreign Secretary also called on Prime Minister Nawaz Sharif during this visit. On the eve of the commencement of the holy month of Ramzaan, PM Shri Modi spoke to PM Mr. Nawaz Sharif over telephone on June 16, 2015 to convey his good wishes. He reiterated to Prime Minister Sharif his message of peaceful, friendly and cooperative relations between the two countries. As a gesture of goodwill, PM Shri Modi also announced the release of Pakistani fishermen in Indian jails. The Prime Ministers of Pakistan and India met on July 10, 2015 on the sidelines of the SCO Summit in Ufa. The two leaders exchanged views on issues of bilateral and regional interest. They agreed that India and Pakistan have a collective responsibility to ensure peace and promote development. Both leaders condemned terrorism in all its forms and agreed to cooperate with each other to eliminate this menace from South Asia. They also agreed on the following steps to be taken by the two sides: A meeting in New Delhi between the two NSAs to discuss all issues connected to terrorism; early meetings of DG BSF and DG Pakistan Rangers followed by that of DGMOs; decision for release of fishermen in each other’s custody, along with their boats, within a period of 15 days; mechanism for facilitating religious tourism; and, both sides agreed to discuss ways and means to expedite the Mumbai case trial, including additional information like providing voice samples. Prime Minister Mr. Nawaz Sharif reiterated his invitation to Prime Minister Shri Modi to visit Pakistan for the SAARC Summit in 2016.Prime Minister Shri Modi accepted the invitation. The dates for the NSA talks to be held in Delhi as per the Ufa understanding were proposed to the Pak side in Islamabad on July 23. However, the talks got cancelled as contrary to the understanding at Ufa, the Pak side showed reluctance to discuss the issue of terrorism and tried to divert the focus to other issues. The two Prime Ministers met briefly in Paris in November 2015 on the margins of the CoP21 Conference. Following this meeting, the National Security Advisors accompanied by the Foreign Secretaries met in Bangkok on December 06, 2015. Discussions covered peace and security, terrorism, Jammu and Kashmir as well as tranquility along the LoC. Following the meeting of the NSAs, the EAM travelled to Islamabad on December 08-09, 2015 to participate in the “Heart of Asia/Istanbul Process” Ministerial Conference. During the visit she held talks with Sartaj Aziz and called on PMNS. A Joint Statement issued at the end of the meeting between EAM and SA made the following significant points: (i) the Indian side was assured of the steps taken to expedite the early conclusion of the Mumbai trial; (ii) accordingly, it was agreed to a Comprehensive Bilateral Dialogue. PM Shri Modi visited Lahore on his way back from Kabul on December 25, 2015. The brief stopover at Lahore was decided after the Prime Minister telephoned PMNS to convey his birthday greetings. The Prime Minister was received at the Allama Iqbal International Airport in Lahore by PM Nawaz Sharif and Punjab CM Shabaz Sharif on December 25 afternoon and flown to Pakistan PM’s residence at Raiwind in a helicopter. Both the Prime Ministers held talks on bilateral relations. The impromptu visit to Lahore by PM Shri Modi was generally welcomed in Pakistan. Following the terrorist attack on an airbase in Pathankot on January 2, 2016, and tracing of the conspiracy for the attack to the Pakistan based terrorist group Jaish-e-Mohammad [JeM], it was mutually agreed to postpone the Foreign Secretary level talks scheduled to be held in mid-January 2016. At the request of Government of Pakistan, a Joint Investigation Team [JIT] from Pakistan visited New Delhi and Pathankot in the last week of March 2016. The investigating officers of the National Investigation Agency [NIA] gave a detailed presentation on the evidence collected during the course of the investigation. JIT of Pakistan and India’s investigating teams interacted under extant legal procedures of India and Pakistan. The Pakistan’s JIT visited the scene of crime in Pathankot. The Pakistan JIT was also given access to witnesses. NIA presented the JIT with concrete evidence against the office bearers of JeM who conspired in the attack and the handlers of the terrorists who facilitated and guided them. Two Letters Rogatory [LR] have been handed over to Pakistani authorities for investigation in Pakistan. A response from Pakistan on the progress of the investigation into this case is awaited. Despite our persistent urging that Pakistan respect its January 2004 commitment of not allowing its soil or territory under its control to be used for terrorism against India, there was no let up in infiltration and terrorist actions from across the Line of Control. Following the terrorist attack on an army camp in Uri in Jammu and Kashmir on September 18 and continued incidents of terrorist infiltrations, the Indian Army conducted surgical strikes at various terrorist launch pads across the Line of Control, based on specific and credible inputs, and inflicted significant casualties to terrorists and those providing support to them. Pakistan’s continued efforts at interfering in the internal affairs of India, including in the State of Jammu and Kashmir created an environment that was not conducive to the successful holding of the 19th SAARC Summit in Islamabad in November 2016. In the then prevailing circumstances, India was unable to participate in the proposed SAARC Summit in Islamabad. An Indian National, Mr. Kulbhushan Jadhav was purportedly caught by Pakistani agencies under suspicious circumstances in March 2016. The High Commission of India in Islamabad has so far sent 21 Notes Verbale seeking Consular Access as required under the norms of the Vienna Convention on Consular Relations. However, the Government of Pakistan till date has not responded. The Pakistani authorities announced on April 10, 2017 that a Field General Court Martial (FGCM) awarded death sentence to Mr. Kulbhushan Jadhav under the Pakistani Army Act (PAA). Two petitions from the mother of Kulbhusan Jadhav were handed over to Pakistan’s Foreign Secretary on April 26, 2017 by the High Commissioner requesting it to be filed before the Court of Appeal and the Government of Pakistan on behalf of Mr. Jadhav. Concerned over the safety of Mr. Kulbhushan Jadhav, the Government of India approached the International Court of justice (ICJ) at The Hague on May 08, 2017 against violation of Vienna Convention on Consular Relations, 1963 by Pakistan. The ICJ, in its interim ruling on May 18, 2017, has stayed the death sentence until the final decision on the proceedings. An Indian National, Mr. Kulbhushan Jadhav was purportedly caught by Pakistani agencies under suspicious circumstances in March 2016. The High Commission of India in Islamabad has so far sent 21 Notes Verbale seeking Consular Access as required under the norms of the Vienna Convention on Consular Relations. However, the Government of Pakistan till date has not responded. The Pakistani authorities announced on April 10, 2017 that a Field General Court Martial (FGCM) awarded death sentence to Mr. Kulbhushan Jadhav under the Pakistani Army Act (PAA). Two petitions from the mother of Kulbhusan Jadhav were handed over to Pakistan's Foreign Secretary on April 26, 2017 by the High Commissioner requesting it to be filed before the Court of Appeal and the Government of Pakistan on behalf of Mr. Jadhav. Concerned over the safety of Mr. Kulbhushan Jadhav, the Government of India approached the International Court of justice (ICJ) at The Hague on May 08, 2017 against violation of Vienna Convention on Consular Relations, 1963 by Pakistan. The ICJ, in its interim ruling on May 18, 2017, has stayed the death sentence until the final decision on the proceedings. In April 2010, following the meeting between the then Prime Minister Dr. Manmohan Singh and then Pak PM Gilani on the margins of the SAARC Summit (Thimpu), meetings was held between Foreign Ministers (Islamabad, July 2010) and Foreign Secretaries (Thimphu, February 2011). During the latter meeting it was formally agreed to resume dialogue on the following issues: (i) Counter-terrorism (including progress on Mumbai trial) and Humanitarian issues at Home Secretary level; (ii) Peace & Security, including CBMs, (iii) Jammu & Kashmir; (iv) promotion of friendly exchanges at the level of Foreign Secretaries; (v) Siachen at Defence Secretary-level; (vi) Economic issues at Commerce Secretary level; (vii) Tulbul Navigation Project/ Wullar Barrage at Water Resources Secretary-level; and (viii) Sir Creek (at the level of Surveyors General/ Additional Secretary). Several efforts have been made to enhance people-to-people contacts. Cross-LoC travel and trade across J&K, initiated in 2005 and 2008 respectively, is an important step in this direction. India and Pakistan signed a new visa agreement in September 2012 during the visit of then External Affairs Minister to Pakistan. Two rounds of the resumed dialogue were completed; the third round began in September 2012, when the Commerce Secretaries met in Islamabad. Talks on conventional and non-conventional CBMs were held in the third round in December 2012 in New Delhi. A meeting of the Working Group on Cross-LoC (Line of Control) trade and travel CBMs was held in New Delhi on March 4, 2014 in which issues including strengthening of standard operating procedures were discussed. Following the attack on 6 Aug 2013 in which five Indian soldiers were killed along the LoC, India called upon Pakistan to maintain the ceasefire and uphold the sanctity of LoC, which is the most important Confidence Building Measure (CBM) between the two countries and, together with Pakistan's assurance not to allow territory under its control to be used for anti-India activities, the basis of bilateral dialogue process since January 2004. It was conveyed that such unprovoked incidents on LOC by the Pakistan Army would have consequences for our bilateral ties. In their meeting on the margins of the UN General Assembly on September 29, 2013 in New York, the then Prime Minister Dr. Manmohan Singh and PM Mr. Nawaz Sharif agreed that the precondition for a forward movement in the relationship, which they both desired, was an improvement of the situation on the LoC where there had been repeated ceasefire violations and incidents. They decided to task the Directors General of Military Operations (DGMOs) to suggest effective means to restore the ceasefire and a way forward to ensure that it remains in force and in place. The meeting of the DGMOs took place at Wagah on December 24, 2013. However, unprovoked firing on Indian troops from Pakistan again resulted in casualties among civilians and security personnel in May and July 2014. Terrorism emanating from Pakistan or territory under Pakistan's control remains a core concern in bilateral relations. This is precisely why India has sought a firm and abiding implementation of the commitment from Pakistan, formally conveyed in January 2004, that it will not allow its territory and territory under its control to be used for the aiding and abetting of terrorist activity directed against India and for providing sanctuary to such terrorist groups. India has consistently stressed the need for Pakistan to fulfill its oft-repeated assurances, given to India at the highest level, that territory under its control would not be allowed to be used for anti-India activities in any manner. It is critical for the security of the region that Pakistan undertakes determined action to dismantle the terrorist networks, organizations and infrastructure. However, internationally sanctioned terrorist entities such as Lashkar-e-Taiba (LeT) continue to function in Pakistan under various aliases, such as Jamat-ud-Dawa, whose enhanced profile and activities indicate continued flow of resources in violation of the UN sanctions. LeT's leader Hafiz Saeed and his followers also continue to plan and incite violence against India. Pakistan placed Hafiz Saeed and four other members of LeT/JuD under house detention in the last week of January 2016. Hafiz Saeed was also placed under the Fourth Schedule of Pakistan’s Anti-Terrorism Act, action mandated internationally against him and his terrorist organizations and colleagues. It is but a first logical step in bringing them to justice, and in ridding our region of the twin menaces of terrorism and violent extremism. Progress in the ongoing Mumbai terror attack case in Pakistan is seen as an important marker of Pakistan's commitment to combat terrorism emanating from its soil. The release on bail of Zakiur Rehman Lakhvi the main accused in the Mumbai terror attack case on April 10, 2015 was viewed with serious concern in India. India conveyed its outrage to Pakistan at the release of Lakhvi. It was reiterated to Pakistan that this goes against Pakistan's professed commitment to combat terrorism, including its recently stated policy of not differentiating amongst terrorists. It was conveyed to Pakistan that if such a person, who is also a designated international terrorist by the United Nations, is released it will pose a threat that cannot be ignored. The trial of seven persons in an Anti Terrorism Court (ATC) for their involvement in the 2008 Mumbai terror attacks has however proceeded very slowly. The trial has been subject to repeated adjournments, non-appearances of lawyers, and other delays. A Pakistan Judicial Commission undertook its second visit to India in September 2013 and cross-examined key prosecution witnesses. The Government of Pakistan has conveyed from time to time that effective action on bringing the perpetrators of the Mumbai attacks to book was Pakistan’s intention and it was committed to the case being taken to its logical conclusion. At the meeting of Prime Ministers of Pakistan and India on July 10, 2015 on the sidelines of the SCO Summit in Ufa, both sides agreed to discuss ways and means to expedite the Mumbai case trial, including additional information like providing voice samples. In this regard, Foreign Secretary S. Jaishankar wrote a letter to Pakistani Foreign Secretary Aizaz Ahmad Chaudhury, in September 2016, offering to provide any further assistance required by Pakistan for expeditiously concluding the Mumbai case trial. Response from Pakistan in this regard is awaited. India-Pakistan bilateral trade in 2013-14 touched a peak of US$ 2.7 billion, before dropping marginally to US$ 2.35 billion in 2014-15. The bilateral trade showed a slight increase in 2015-16 to US$ 2.61. Bilateral trade witnessed a slight drop in 2016-17 to US$ 2.28 billion, with exports from India at $1.83 billion and imports from Pakistan to India at $456.33 million. The imports from Pakistan have shown a gradual declining trend since 2012-13, when it touched US$ 541.87 billion. Main items of export from India to Pakistan are: cotton, organic chemicals, machinery, food products including prepared animal fodder, vegetables, plastic articles, man-made filament, coffee, tea and spices, dyes, oil seeds and olea, etc. 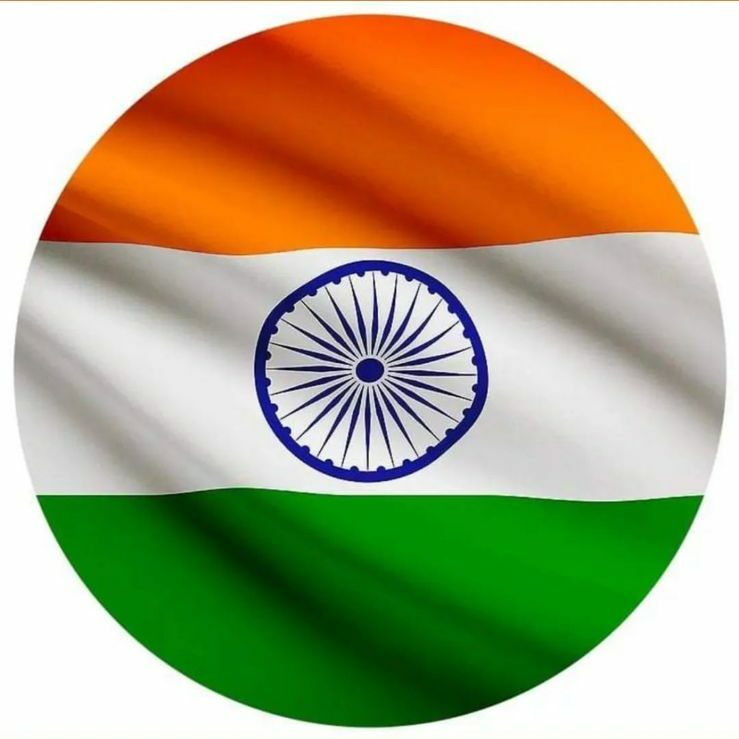 Main items of import by India from Pakistan are: copper and copper articles, fruits and nuts, cotton, salt, sulphur and earths and stones, organic chemicals, mineral fuels, rubber plastic products, wool, etc. India had accorded MFN status to Pakistan in 1996. A Pakistan cabinet decision of November 02, 2011 to reciprocate remains unimplemented. Pakistan, however, substituted in March 2012 a 'positive list' of a little more than 1950 tariff lines, permitted for import from India, by a 'Negative List' of 1209 lines that cannot be imported from India. In August 2012, India announced reduction of 30% in its SAFTA Sensitive List for non-Least Developed Countries of SAFTA [including Pakistan], bringing down tariff on 264 items to 5% within a period of three years. This measure benefited Pakistan's exports to India in sectors of key interest to Pakistan. During the Commerce Secretary-level talks September 20-21, 2012 in Islamabad, a roadmap was established to move forward for full normalization of bilateral trade. However, in the absence of Pakistan implementing its decision of the first step of the road map, viz., permitting all importable items through Wagah/ Attari land route (as against current only 137), the roadmap has remained unimplemented. In their meeting in New Delhi on January 18, 2014, Commerce Ministers of India and Pakistan reaffirmed the commitment to expedite establishment of normal trading relations and in this context to provide Non-Discriminatory Market Access (NDMA), on a reciprocal basis. They decided to intensify and accelerate the process of trade normalisation, liberalization and facilitation and to implement the agreed measures before the end of February 2014. Implementation of these steps [inter alia removal of 'Negative List' and removal of restrictions on the number of importable items via Wagah land route] by Government of Pakistan is awaited and it has not responded to the letter of the Commerce Secretary, Government of India, dated January 24, 2014 to confirm the understanding reached. With a view to build confidence of the business community on both sides, representatives of various trade regulatory bodies of India held meetings over 2011-12 with representatives of leading chambers of commerce and industry of Pakistan to discuss matters pertaining to trade regulations, standards, labeling and marking requirements. Three agreements, viz., Customs Cooperation Agreement, Mutual Recognition Agreement and Redressal of Trade Grievances Agreement, were signed during Commerce Secretaries' talks in September 2012. The then Home Minister of India, in the presence of, among others, the Commerce Ministers of India and Pakistan, and the Chief Ministers of the states of Punjab of the two countries inaugurated the Integrated Check Post (ICP) at Attari on April 13, 2012. The Attari ICP represents vastly improved infrastructure to facilitate trade and travel. Spread over 118 acres, it contains a passenger terminal measuring 9,600 square meter, a dedicated cargo terminal measuring 4,700 square meters, and separate import and export warehouses measuring over 10,000 square meters, apart from over 50,000 square meters of parking space for trucks, and equally large area for future expansion. The two sides have discussed initiatives such as 24x7 operation at Attari-Wagah trade route, movement of containers between Amritsar and Lahore and meeting point for business persons at Attari/ Wagah. Various segments of the society in Pakistan have spoken in favour of opening more land trade routes with India, including Munabao-Khokhrapar. It was agreed during the meeting of the two Commerce Secretaries in September 2012 that a Joint Working Group [JWG] would look into this matter. The JWG was to meet in November 2012. India conveyed its consent to hold the meeting in November 2012 as agreed. Response from the Government of Pakistan is awaited. In response to a request made by Prime Minister Mr. Nawaz Sharif for assistance to tackle power crisis in Pakistan, the possibility of supplying up to 5 million cubic meters gas per day (by extending the Dadri-Bawana-Nangal pipeline from Jalandhar via Amritsar to Lahore), and establishing a 500 MW HVDC link from Amritsar to Lahore to facilitate power trading were explored. A composite Indian delegation comprising officials and public sector representatives from electricity and gas utilities visited Lahore and Islamabad on June 9-12, 2013 to hold discussions at technical level and made presentations to the Chief Minister of Punjab and Member of Prime Minister's Energy Committee, Shehbaz Sharif, Minister for Water and Power, Khawaja Asif and Minister for Petroleum and Natural Resources, ShahidKhaqanAbbasi. Further talks were held in Delhi on March 5, 2014 on trade in power, and on April 1, 2014 on cooperation in the gas and petroleum sector. Pakistan welcomed India's decision to allow investment from Pakistan (notified by the Government of India on August 1, 2012). The decision to allow investment from Pakistan in shares and convertible debentures was notified by RBI on August 22, 2012. In September 2012, RBI removed restrictions on investment in Pakistan from India. Efforts have been made to for the exchange of trade delegations over the past few years. The first meeting of the newly created Joint Business Council (JBC)/ Forum (JBF), comprising 15 top level business representatives from each country was, held in Islamabad on 29 June 2013. The JBF decided to form ten task forces to examine priority areas for cooperation in agriculture, pharmaceuticals, automobiles and healthcare. Its 2nd and 3rd meetings were held in New Delhi and Lahore, respectively in October 2013 and February 2014. The 4th meeting of the Joint Business Council was held in New Delhi in August 2014. The 5th meeting of the IPJBF was held in Lahore in July 2015. The High Commission of India in Islamabad organized an interactive session on “Business Environment in India” to coincide with this event, which provided a platform for various business and chambers of commerce and trade in Pakistan to interact with the visiting Indian businessmen. Other business-to-business exchanges since April 2012 include participation of a CII-organized high level business delegation in the 2nd Indo-Pak Amanki Asha Economic Conference with the theme, “Dividends: Profits on Peace” in Lahore on 7-8 May 2012; Bombay Chamber of Commerce and Industry in “My Karachi” exhibition in Karachi from 13-15 July 2012; the “India Expo” in Karachi in 2013; the second edition of “India Show” in Lahore (February 14-16, 2014) - which was inaugurated by Federal Minister for Commerce of Pakistan Khurram Dastgir Khan; the “Made in Pakistan” Exhibition mounted by the Federation of Pakistan Chambers of Commerce and Industry in Mumbai from August 31-September 4, 2012, and again from April 3-7, 2014; participation of Pakistan in Indian International Trade Fair in November 2012 and 2013, and in a number of other trade exhibitions and events, including those arranged by the PHD Chamber of Commerce and Industry in Chandigarh, Ludhiana, Delhi, etc. The Trade Development Authority of Pakistan (TDAP), with the cooperation of the High Commission of India in Islamabad, held the second edition of the “Lifestyle Pakistan” exhibition in New Delhi. The four-day exhibition took place at PragatiMaidan, from September 11-14, 2014 with over 150 exhibitors from a vast array of Pakistani fashion, textiles, leather products, accessories, home textiles taking part in the exhibition. The High Commission of India in Islamabad organized a business outreach event in September 2014 in Islamabad to showcase the “Make in India” program of the Government. A large number of businessmen from all over Pakistan participated in the event along with leading Chambers of Commerce and Industry. The High Commission of India in Islamabad also organised business outreach and familiarization events with Gems and Jewellery Association of Pakistan in May 2015; with Faisalabad Chambers of Commerce and Industry in June 2015; with Women Chamber of Commerce, Bahawalpur in December 2015; with the Federation of Pakistan Chamber of, Commerce and Industry and rest of the Chambers of Commerce and Industry in February 2016; with Peshawar Chamber of Commerce and Industry in February 2017 and with Multan and Islamabad Women Chambers of Commerce and Industry in March 2017. A joint 'Judicial Committee on Prisoners' comprising retired Judges from the higher judiciary of both countries looks into humanitarian issues related to prisoners and fishermen in each other's jails, which it visits alternating twice a year. The last visit to India was in October 2013. The Committee's recommendations on better consular access, expeditious trial, provision of legal aid, humanitarian treatment, early repatriation after completion of sentences, and repatriation of fishermen along with their boats, are examined for implementation by both the Governments. As a result of constant efforts by the Government, release of over to 3,200 Indian fishermen and 122 civil prisoners has been secured from Pakistani prisons since 2008. On 26 May 2014, just prior to the visit of Prime Minister Mr. Nawaz Sharif to India, Government of Pakistan released 150 Indian fishermen and one prisoner, and also announced the release of 57 boats, which were eventually released in March 2015. In 2016, Pakistan released two Indian civil prisoners and 410 Indian fishermen and in 2017 until August, five Indian civil prisoners and 295 Indian fishermen. India has released 48 Pakistani nationals, including 18 fishermen and 30 civil prisoners in 2017 until August. At present, 416 fishermen and 51 other civil prisoners believed-to-be Indian nationals are in the custody of Pakistani authorities. Some of them have completed their sentences and await release. The matter of reported auction of confiscated fishing boats of apprehended Indian fishermen has been taken up with concerned Pakistani authorities from time to time. A delegation of fishermen’s representatives and officials from the State of Gujarat visited Karachi in March 2015 for the release of 57 such boats out of over 800 taken in custody by Pakistani authorities over the years. The revised Visa Agreement of September 2012 has led to liberalization of the existing bilateral visa regime and resulted in increased people-to-people contact. This Agreement has liberalized provisions concerning “Business Visas”. It introduced “Visa on Arrival” at Attari/Wagah border for nationals above 65 years of age and “Group Tourist Visa”. The new provisions allow bona fide business persons Visas with multiple entries and travel in India up to 10 cities for business purposes. These provisions and the “Visa on Arrival” scheme at Attari are being implemented. On the modalities for implementation of the Group Tourist Visa scheme, the response from the Government of Pakistan is awaited. At the 5th India-Pakistan Joint Business Forum meeting in Lahore in July 2015, the High Commissioner announced India’s unilateral decision to grant three-year multiple entry business visas to eligible Pakistani nationals.